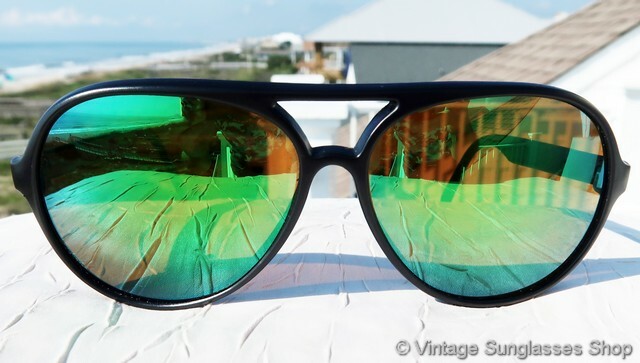 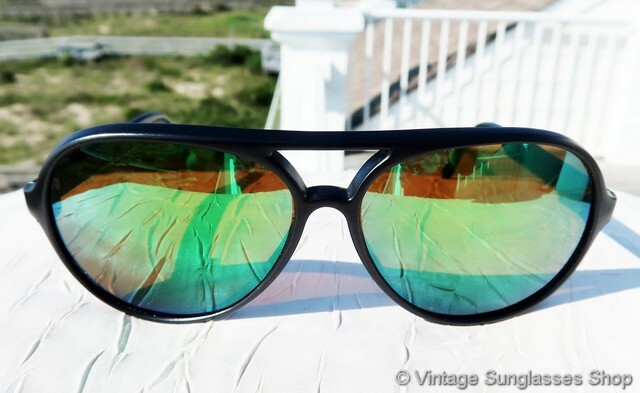 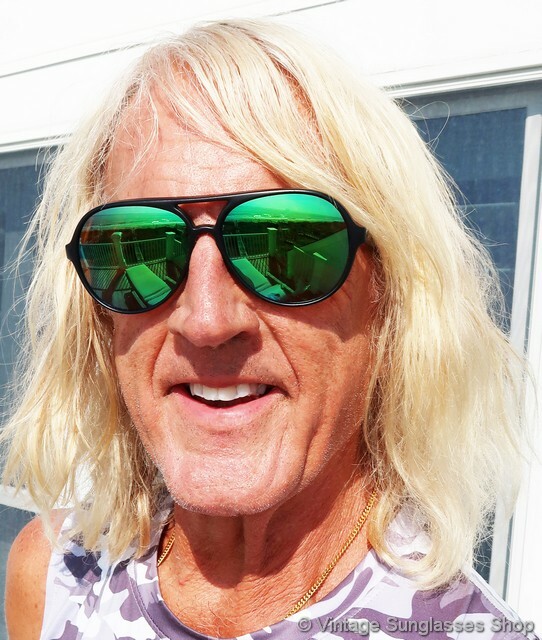 Rare Revo green mirror Venture Aviator sunglasses were one of the earliest production runs you'll find c 1980s and still in high demand today. 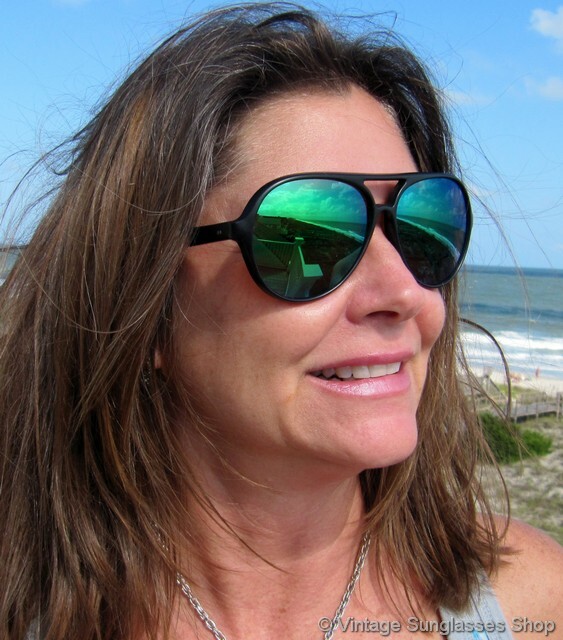 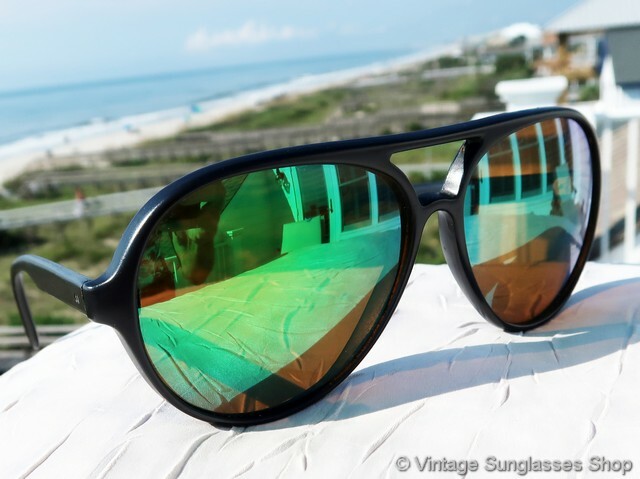 The black composite aviator frame holds the famous Revo green mirrored lenses that used pioneering optical technologies proven in the NASA space program. 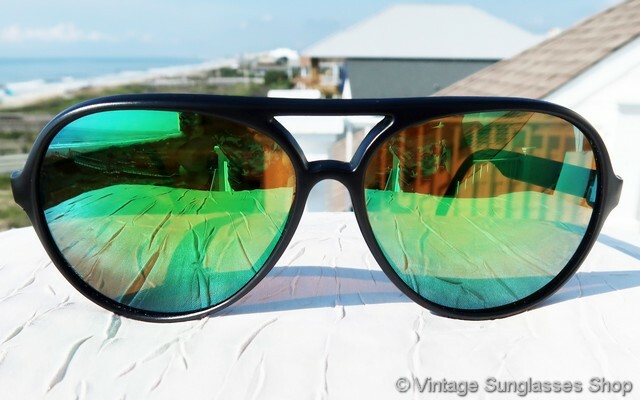 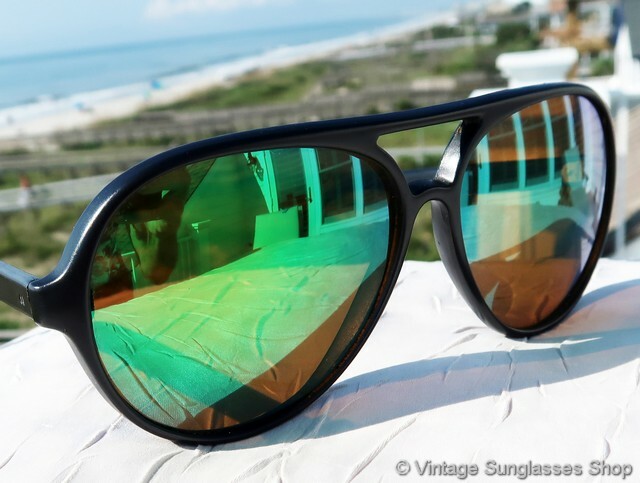 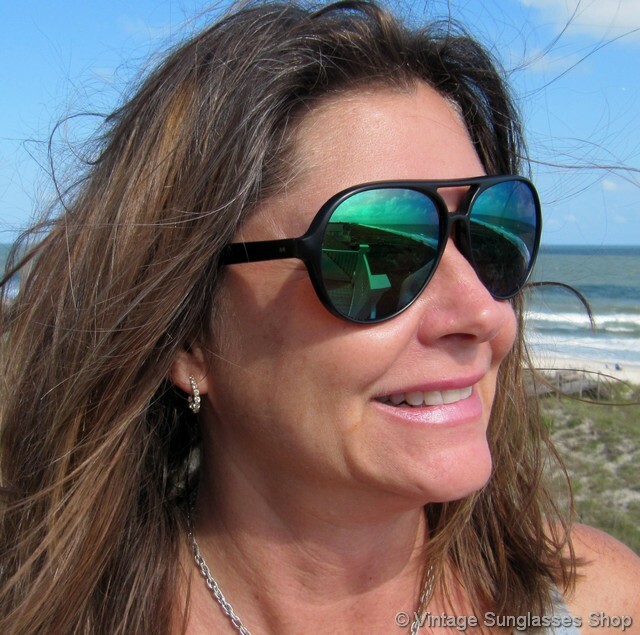 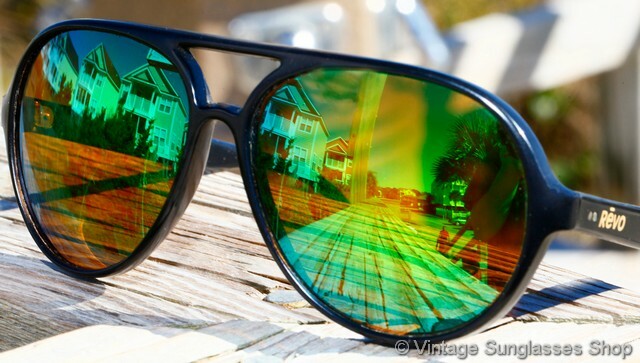 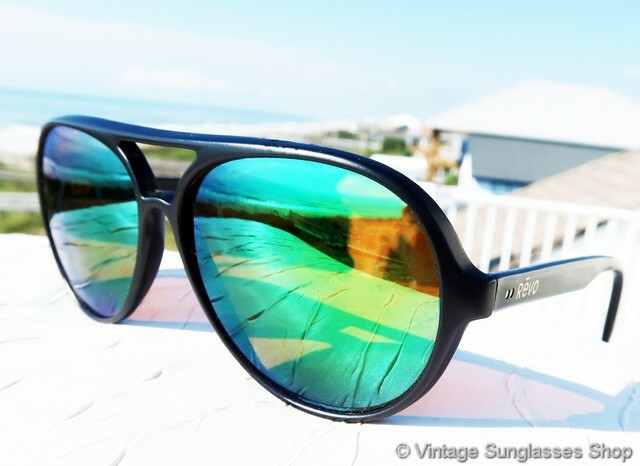 The composite frame is lightweight yet durable, and you'd never mistake these green mirror Revo Venture Aviator sunglasses for your classic Ray-Ban aviators. 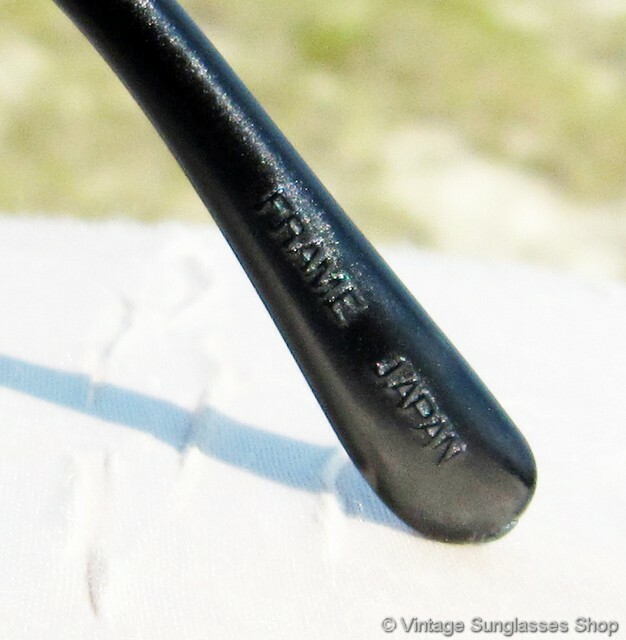 The black and green color combination looks terrific together, and the distinctive Revo logo is embossed in gold on the exterior of the ear stem and Frame Japan is impressed on one ear pad. 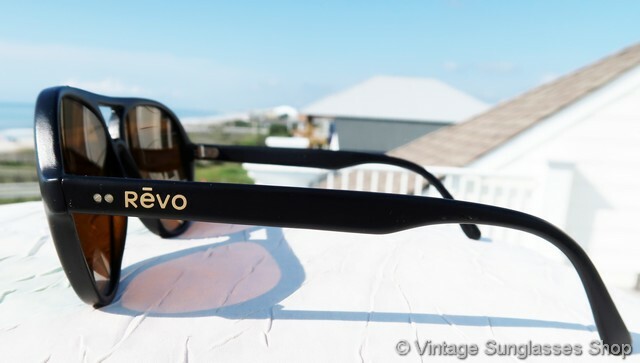 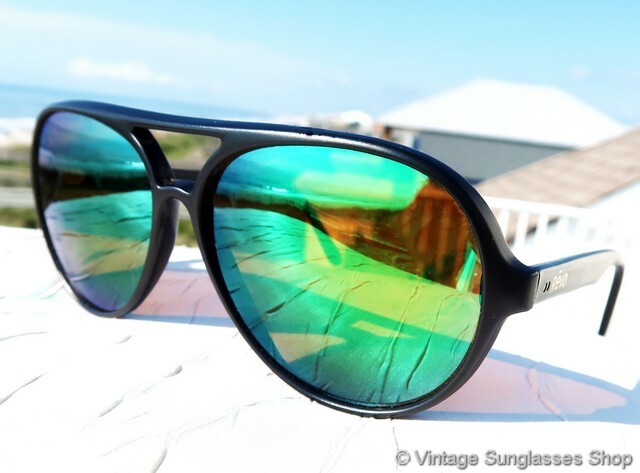 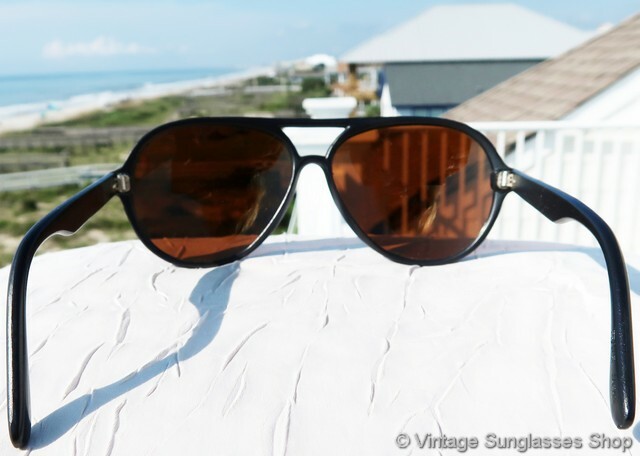 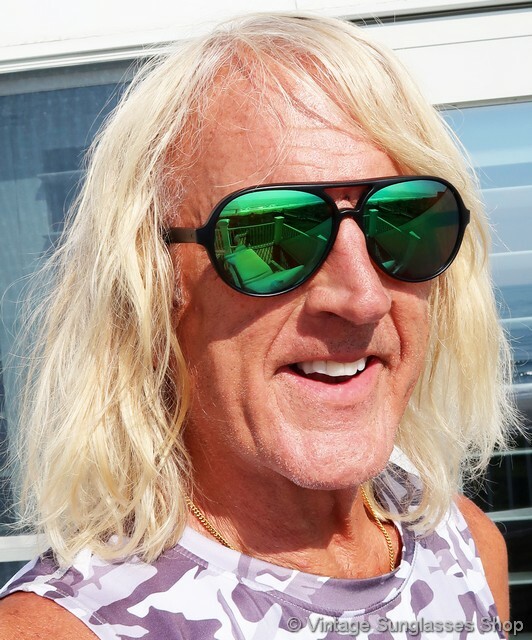 The Revo Venture Aviator was a style that preceeded the use of model numbers on the frame, produced for the first time just months before Revo commenced that practice with the 800 series of sunglasses that used the same black composite frames and mirrored lenses of the Venture Aviator line. 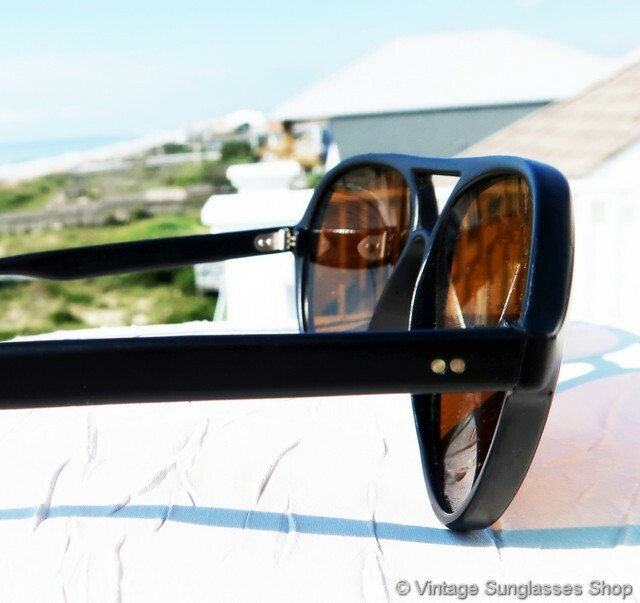 The frame measures approximately 5.5" temple to temple, and the lenses measure approximately 2.25" x 1.875" at the widest points, part of a major collection of vintage Revos from the Austin, Texas countryside.